Mobile applications date back to the beginning of the 21st century. They comprised a handful of simplistically-built software oriented towards fancy calculators, catchy ring tone generators, theme customization tools and other entertainment programs, the majority of which explored the world of gaming. What Pushes App UI Templates On Top Of The Design Wave? The beginning of the millennium was followed by a rapid expansion of the mobile industry, leading to the increasing need of modernized mobile software. Mobile content began the outset of a steady invasion over the world wide web, becoming a leading force in marketing, e-commerce and other economical sectors. We’ve seen mobile apps conquer vast territories recently reaching a record interest in users. During the last few years, the use of mobile apps has managed to surpass desktop software, becoming people’s number one choice for web surfing. With another round of free UI kits coming up next, this month’s going to be filled with plenty of useful resources to aid both designers and developers on their journey of creating amazing mobile products. 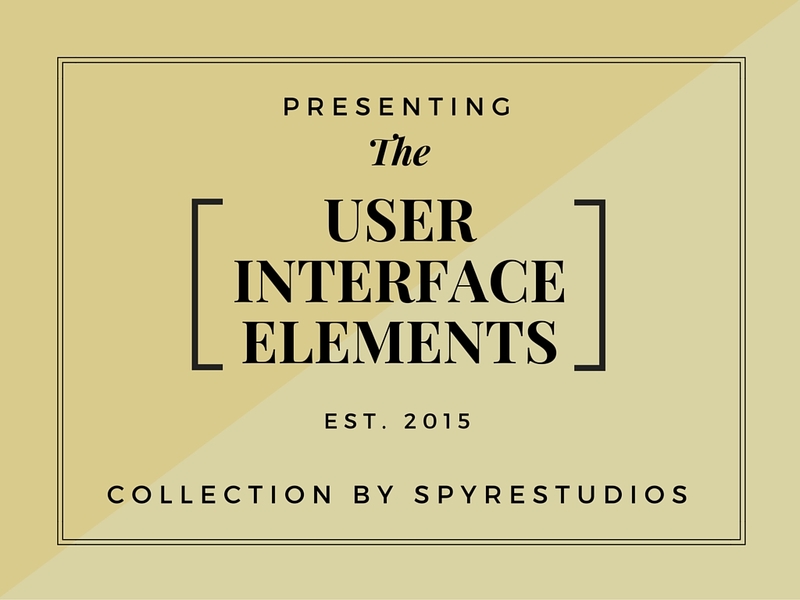 This week’s special resource tips will be focusing on UI elements for a modern look. This UI template is first on our list for offering a wide spectrum of elements with a stylish look. It is loaded with a handful of components in a single vector-based file. While Photoshop has been widely accepted as the leading web design software, Illustrator offers a ton of features which aids for a flawless work flow and easy transition between sketches and digital work. The Azure UI kit is a template positioned between the stylish elegance of a artisan designs and the raw beauty of the metro style. It has integrated Google Fonts and offers a easy-to-use layout with conveniently sorted groups and layers. Created with sports in mind, this UI kit delivers a broad range of elements to create the perfect user experience. This sports-themed design is inspired by the need of convenience in sport platforms. 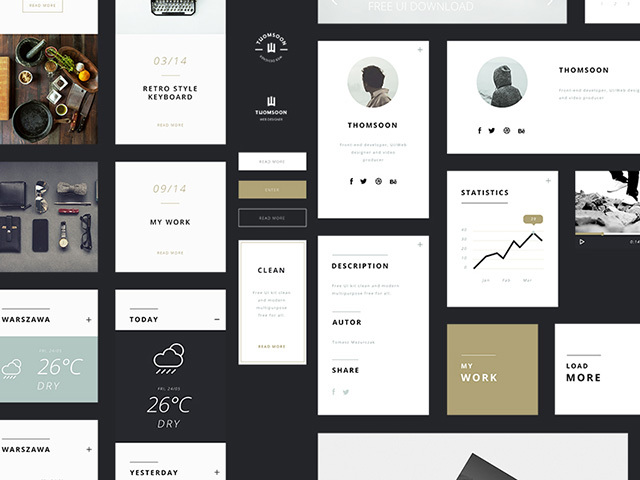 It entangles the pure beauty of flat design and makes a statement with bold fonts and an unique set of icons. The kit brings a collection of gorgeously crafted elements to retina displays with a full HD look. It is a PSD file based entirely on vectors to ensure a crisp look on all screen sizes. Like most files at PixelBudda, this freebie is open for both personal and commercial use and is here to help developers the best out of today’s web design. This untitled kit has made its name in the user interface design sector for offering one of the most beautiful free kits out there. This Behance project has gained traction with more than 12 k upvotes and a good amount of comments bringing it to one of the top places in the platform. The design has been features in App Design Served and has reached over 165 k users so far. It offers a clean UI design which blends between flat app ui and simplified web design. Although it’s free for personal use only, it can be a powerful tool for designers to build upon an existing idea and create an even better product. This blog and magazine template is one of the most gorgeous free UI kits ever offered over the internet. Part of a complete paid set of 15+ pages along with widgets, post types and all sorts of additional elements, this freebie is a sneak peak of what a quality user interface should look like. Packed with a wide variety of presets and a layout to die for, the Snug UI Kit, creation of Komol Kuchkarov is nothing short of perfection. Retina display ready and powered with an exquisite collection of Google fonts, this web template can bring your online magazine into life, making users fall into the gentle grasp of pixel-perfect elegance and convenient beauty.